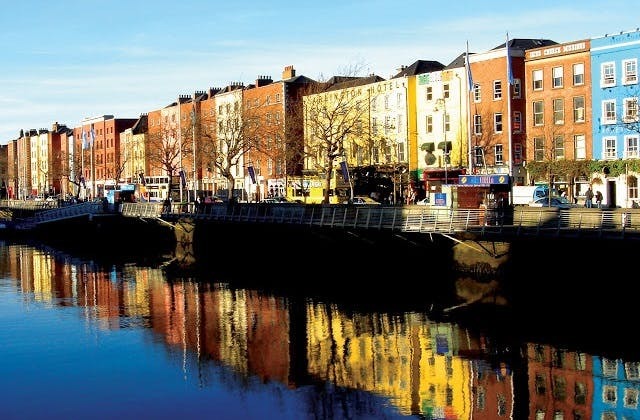 Cheap Flights to Dublin, Ireland. Return Flights. The UTC/GMT adjustment for Dublin is 0. Isle of Man in United Kingdom is the nearest overseas airport to Dublin. The longest flight to Dublin is from Dublin on Hainan Airlines.